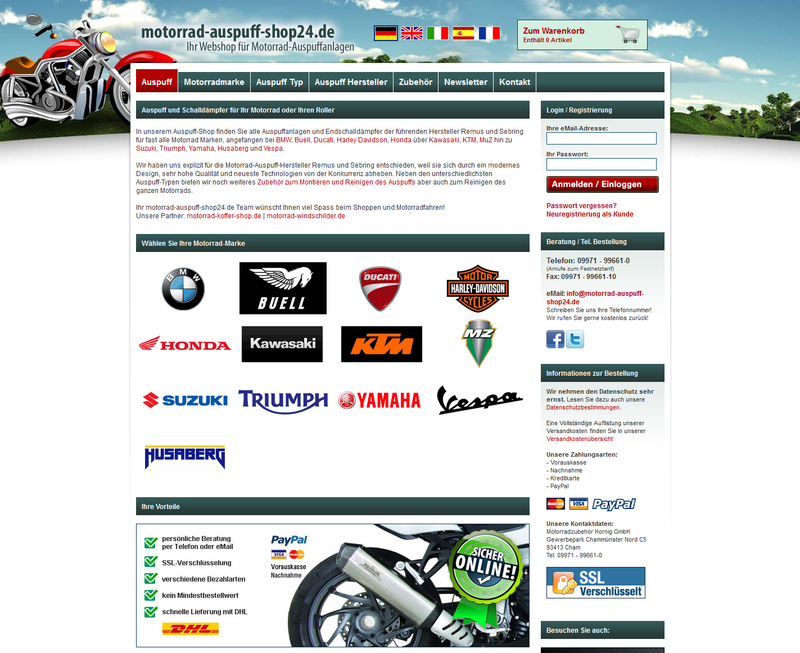 the Motorcycle Accessory Hornig GmbH runs since this year, next to their BMW exclusive shop, two extra shops in order to provide their service, advice and fast shipping to all motorcycle and scooter riders. These additional shops are an enlargement of Hornig's product range as well as an enlargement of the customers by using their core competences like Marketing, Service and Logistics. The chosen manufacturers are also worldwide known for their high quality when it is about motorcycle accessory.